HOUSTON (KTRK) -- The first major league baseball game that was ever played in the state of Texas ended in a decisive victory for the Houston Colt .45's who beat the Chicago Cubs 11 to 2. The game was played in Colt Stadium, a semi-temporary facility that was home to the Houston team for three seasons while the Astrodome was being built. 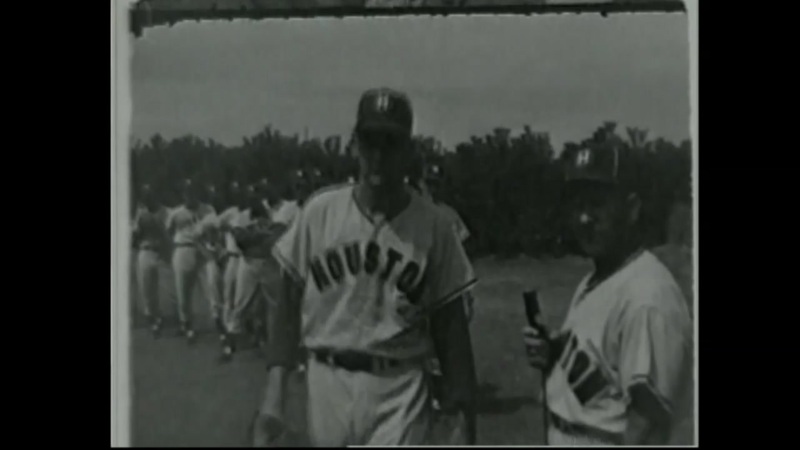 Highlights of the game, played on April 10th, 1962, were shot by a KTRK photographer and preserved in our film archive. Houston's Bob Aspromonte delivered the first hit and scored the first run. Colt .45 right fielder Roman Mejias delivered the power with two 3-run homers and Bobby Shantz pitched a complete game. Colt stadium, most famous for mosquitos and extreme heat, was located just north of the Astrodome. According to Ballpark Digest, the stadium was sold and moved to Torreon, Mexico and then moved again to Tampico, Mexico. When the Astrodome was finished in 1965 the team's name was changed to the Astros, to reflect the city's new image as the home of America's astronauts. The film clip is about 3 and half minutes long and was found on the "1962 Year Ender" reel, a compilation of big stories of that year. Check out the Houston skyline when the camera tilts up for a home run. There are almost no buildings on the horizon. For some of the Chicago Cubs, the game was a homecoming of sorts, as several of the Cubs played their minor league ball for the Buff's, Houston's minor league team and AAA affiliate of the Cubs. Future Hall of Famers Ron Santo and Billy Williams both played for the 1960 Buffs. Here's a film clip of Manager Enos Slaughter, introducing the 1960 Houston Buffs.